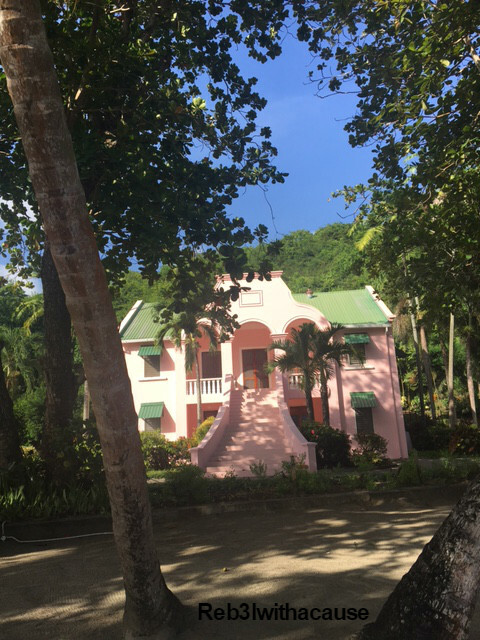 When visiting the Spice Isle there are many accommodation options, however if you’re looking for something quaint, romantic, secluded, affordable and with a beautiful view La Sagesse Hotel is perfect for you. The main building referred to as ‘Manor House’ is of colonial style and housed the first two rooms when the current owners just bought it. The La Sagesse Bay waters is one of the shallowest and calmest on the island. There’s something very captivating about coconut trees. Just ‘hanging around’. 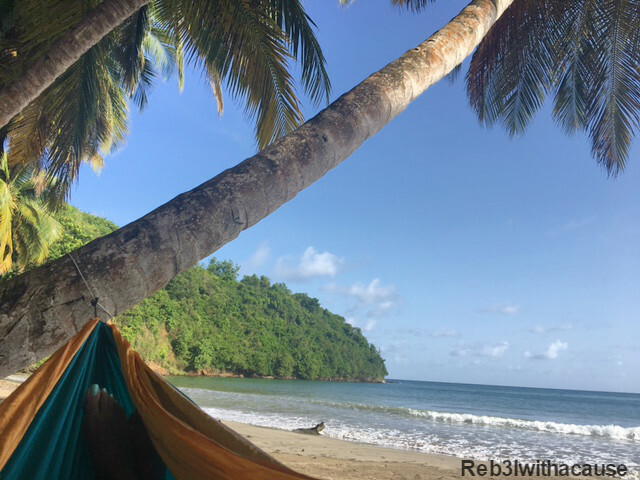 A hammock is a must-have when you live on an island! ‘Post Up’. Behind me is the Restaurant and Bar. 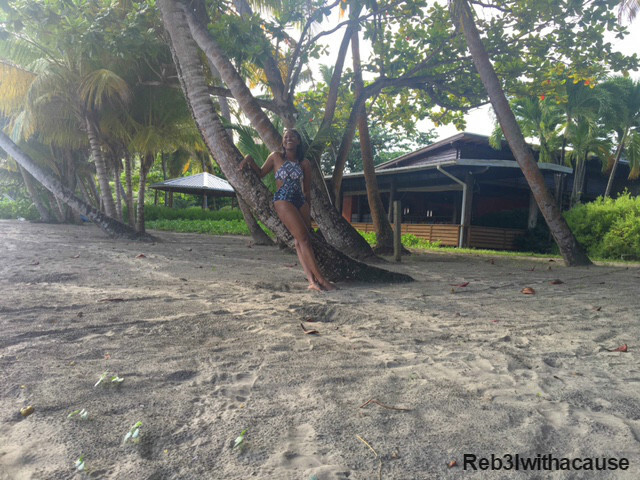 This entry was posted in My Photos and tagged Beach, Coconut, Destination, Grenada, iphone6s, Nature, Photography, Pure Grenada, The Grenadines by R. Sarah Williams. Bookmark the permalink.